We have seen it in the movies many times. Walls that opens, bookcases that are actually doors, secret passages under the floor and many others. Pretty interesting, right? Do you want your home to have something like this? Well some folks do. And it is very cool and intriguing. You will surely feel like you are some special undercover agent like James Bond if your house has these secret room and passages! In the movies, the secret rooms would be a storage for guns or some important files. But in real homes, it could be a bathroom, bedroom, office, wine cellar, play room and others. As a geeky person I used to dream of having a room like this. Or to have a hidden Laboratory where I can create robots, have minions and do whatever I want. Well, it is really different in real life because it would be more practical and functional for the needs of the family. But if you have the resources and ideas then WHY NOT! 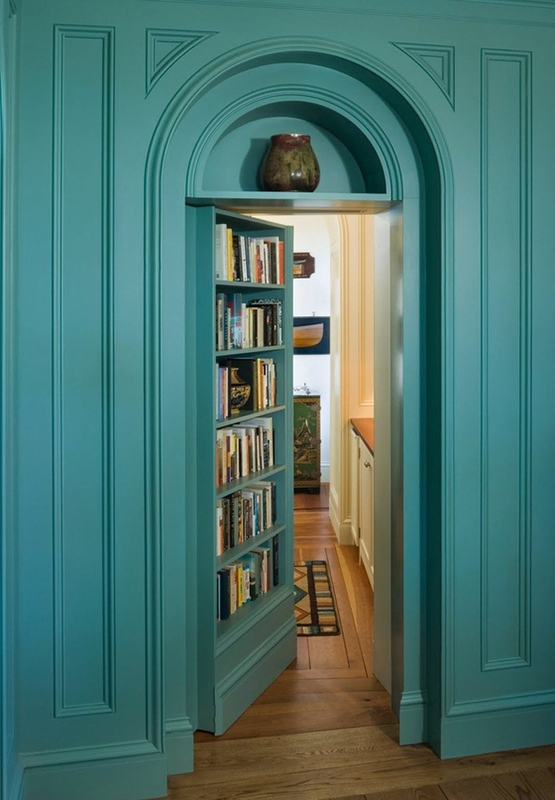 I’m sure you will be pleased after seeing this list and you might even be inspired to have a bookcase door that leads to a secret room in your own house! 1. This Gothic bookcase is already cool with that knight armor on the side. But it will even be cooler once you realize that this is Ed Skoudis’s home office. 2. When you open this door that is camouflaged as a shelf, you will see a storage space! Nice idea from Nick Mehl Architecture! 3. Behind the bookcase door is a play room in this Hillside Retreat. You really won’t suspect that there is something behind the bookcase. 4. Isn’t that arc bookcase lovely? It would look even lovelier when you push it to open towards a hidden bathroom! 5. If you think this is just a wine display, you are wrong. This actually opens open to reveal a secret wine cellar. Isn’t this amazing? 6. 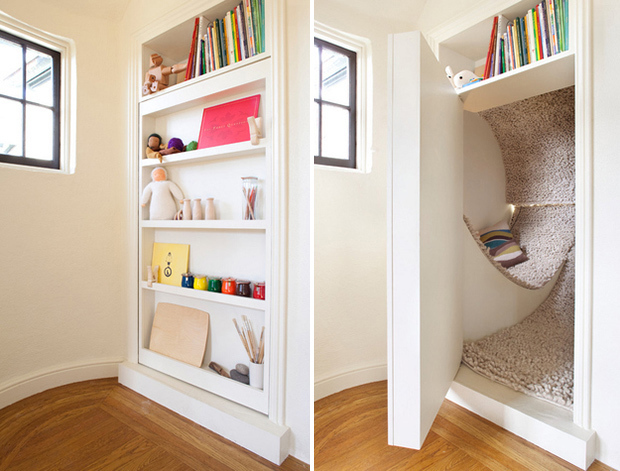 I’d love to have my own hidden reading nook especially if it is as comfy as this one! 7. A home full of books would be fantastic! But having a secret lounge area is even more fantastic! 8. 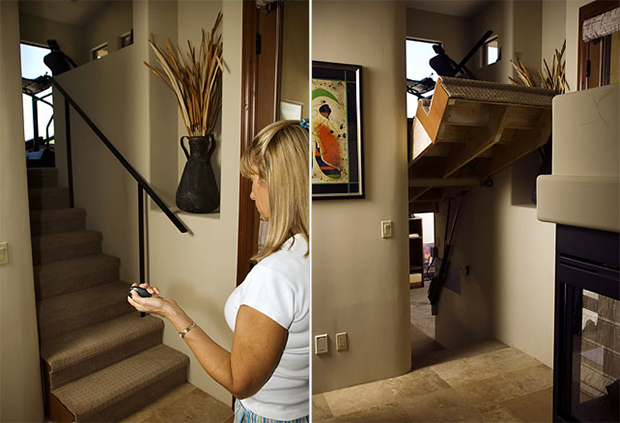 Just push a button on the remote and the staircase will go up to reveal a hidden staircase passage towards another room. How cool could that be? 9. It isn’t just a hole in the floor. But it is a hole that leads to awesomeness as you can slide down towards a happy place in the Rainbow House. 10. 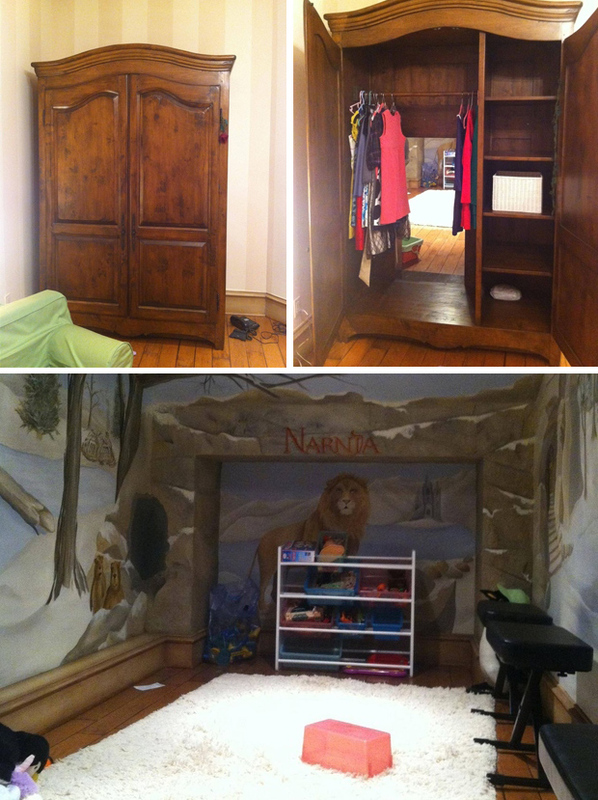 If you have watched Narnia, you will be amazed to see this Narnia inspired passage that leads to a playroom! 11. You know what this is? Well, it is just a personal office space with a hidden personal office space. How’s that? 12. 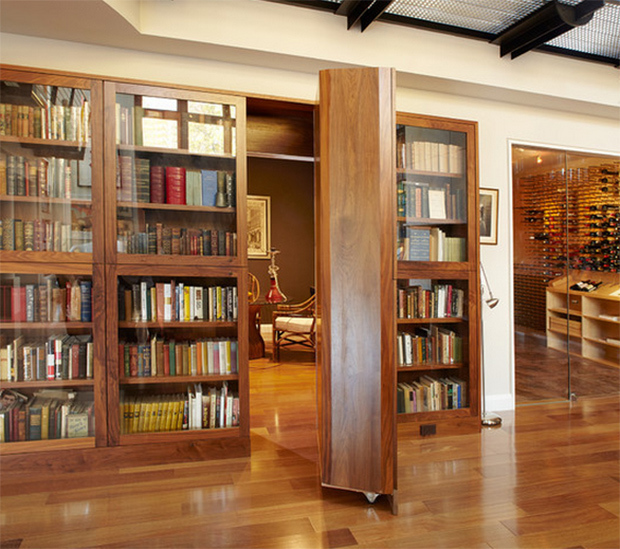 Another bookcase design that hides a room in this Dwell on Despard home. 13. This Lower Level Secret Bath is just an amazing way to have some privacy in the bathroom! 14. Any kid who has a hidden playhouse like this would be very very happy! 15. 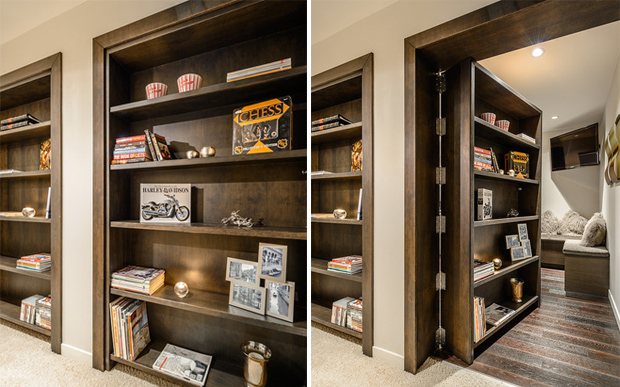 You can give your guests a private space with this secret guest bedroom behind a bookcase! 16. A gorgeous contemporary living room, isn’t it? The bathroom is hidden from site. I’m sure your visitors will find it hard to look for the bathroom! 17. Another wise way to conceal a space is by using a huge painting A hidden wine cellar is tucked under the staircase of a home library. 18. A bedroom in this home in Steamboat Springs, Colorado will always remain private for sure! 19. Want to take a break from work? Have a good time in this hidden pub and game room! 20. 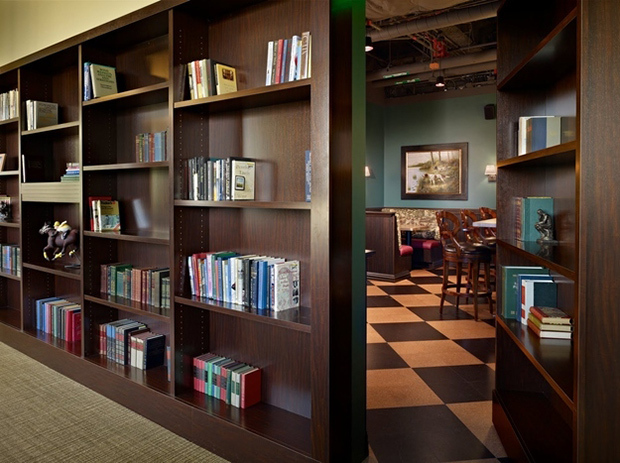 You can have some time alone with your books in this hidden sunny reading room! 21. This mirror is a secret entrance towards a chamber and no one will ever expect that! 22. 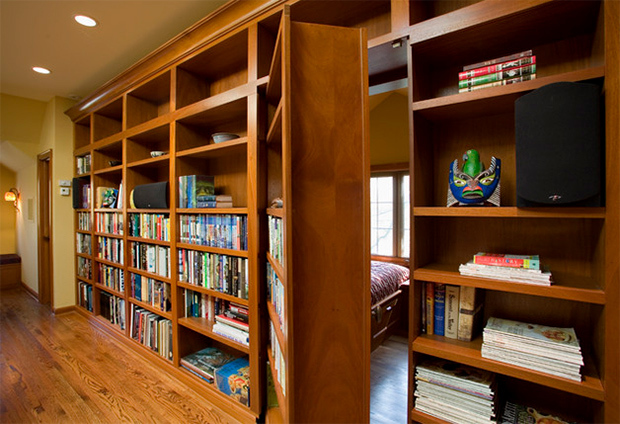 A bookshelf in the family lounge of the Geometry Home hides a secret door leading to another bedroom and bath. 23. If you think this is a dead end, you are wrong because this is actually another door to a room in this house. 24. 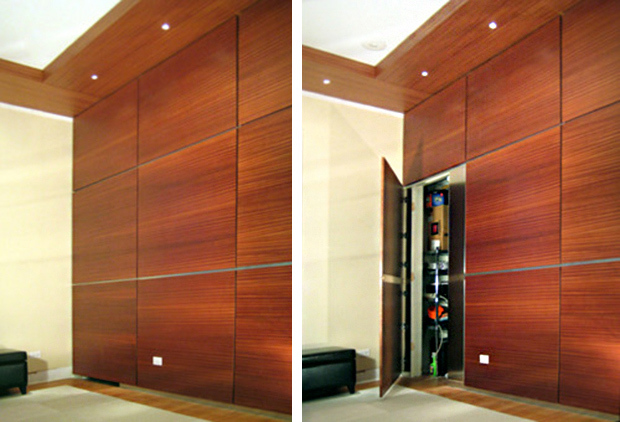 This modern home is indeed lovely but having a secret door hidden behind a wall panel is genius. 25. Do you have some guns to keep from kids and other people? 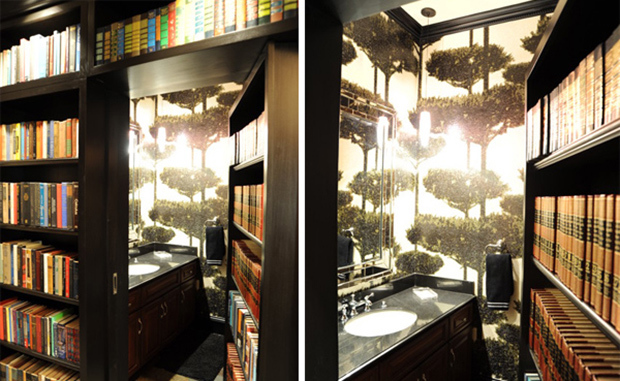 Then use an ornate bookcase door to conceal your room for gun storage. 26. 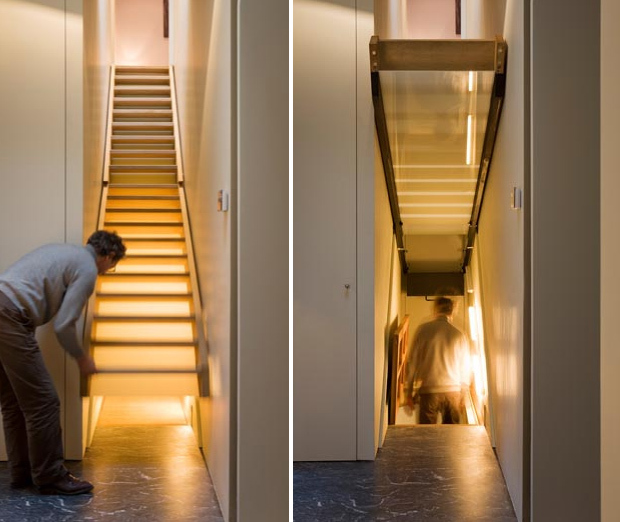 The lower level of this house can be accessed through a staircase. It would be perfect to say that the downstairs is hidden behind the upstairs. 27. Under the stairs is a secret door that opens to a closet. 28. 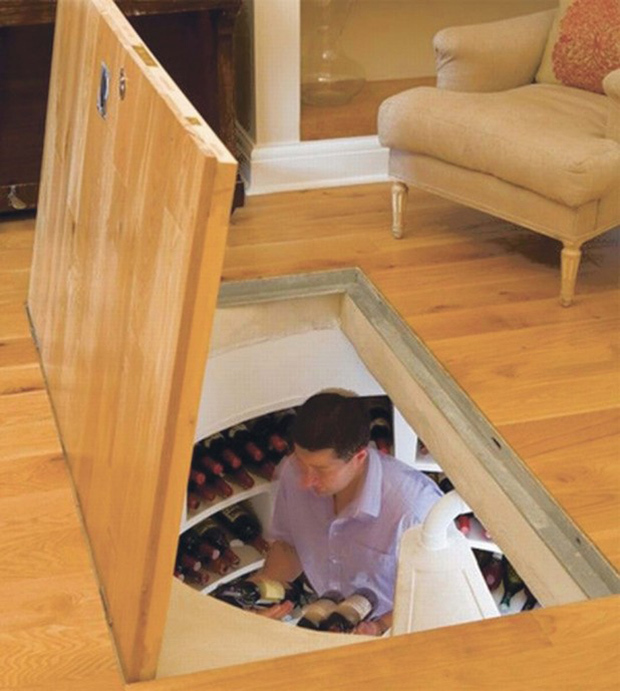 While standing on the floor, you wouldn’t expect that a spiral wine cellar can be seen under it. 29. Aside from the glass doors, there is another passage for this game room using the shelves that opens to other areas of the house. 30. 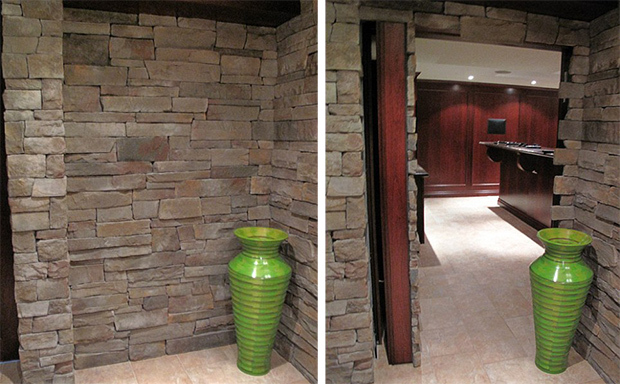 Just like what you see in movies, this wall can be pushed back to reveal a secret space. Definitely interesting indeed! 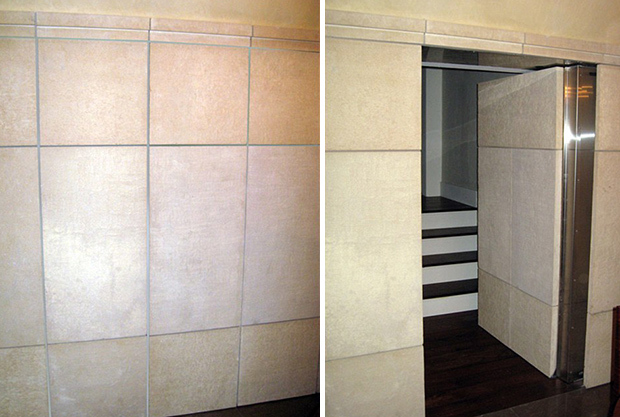 Imagine how you would feel when you push a door to reveal a room. It would be amazing. 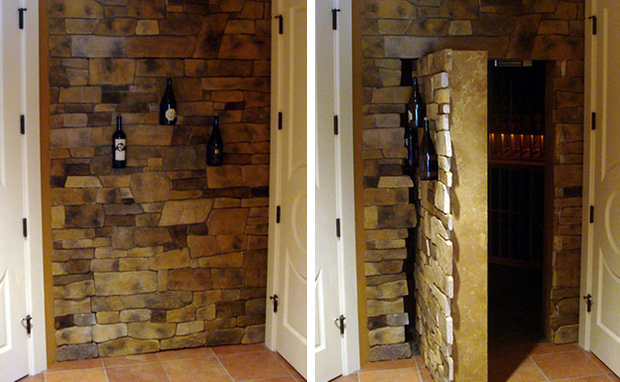 And imagine how your guests will feel when they accidentally lean on the wall and suddenly opens to that secret room. Lol! 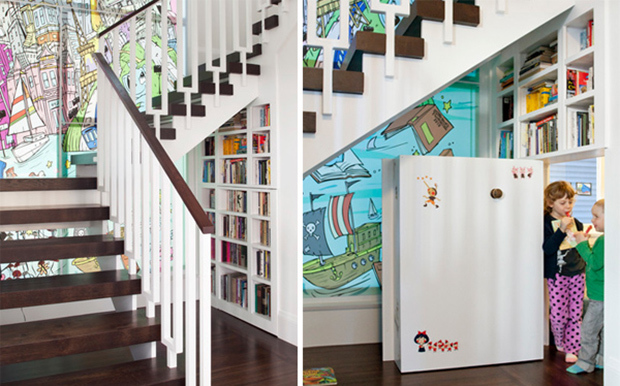 Do you know that there is another way to have some “secret” spaces in the house? 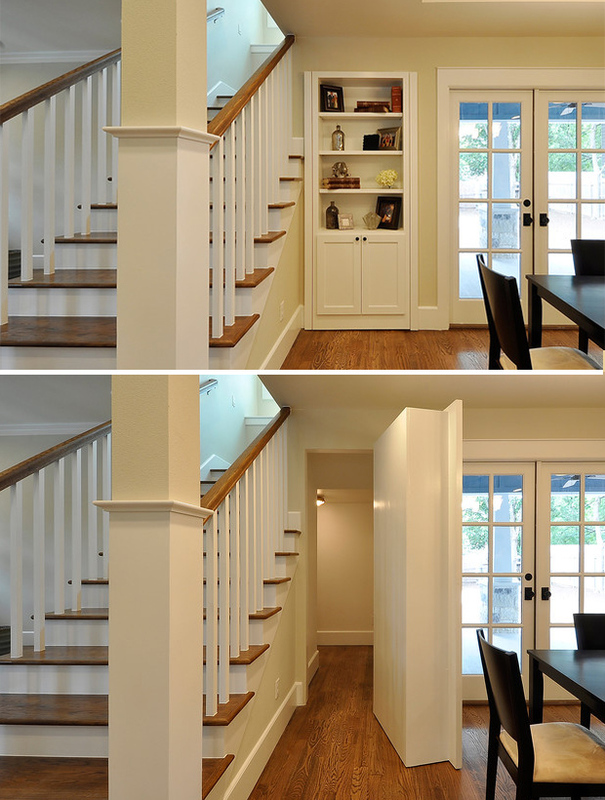 You can also create a hidden storage space in different areas of your home so you can keep valuables and other stuff. I’m sure you found this interesting. Your friends will love this too. Why don’t you share it with them? Who Would Expect That a Small Shoebox Apartment Could Be This Cool? Your Definition of STAIRCASE Will Change Now. I Promise You That.